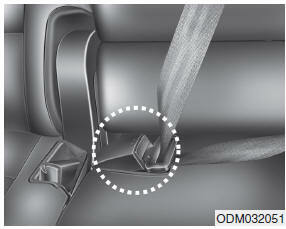 To convert from the automatic locking feature to the emergency locking operation mode, allow the unbuckled seat belt to fully retract. 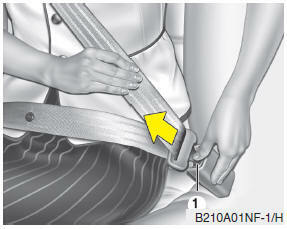 The seat belt is released by pressing the release button (1) in the locking buckle. When it is released, the belt should automatically draw back into the retractor.